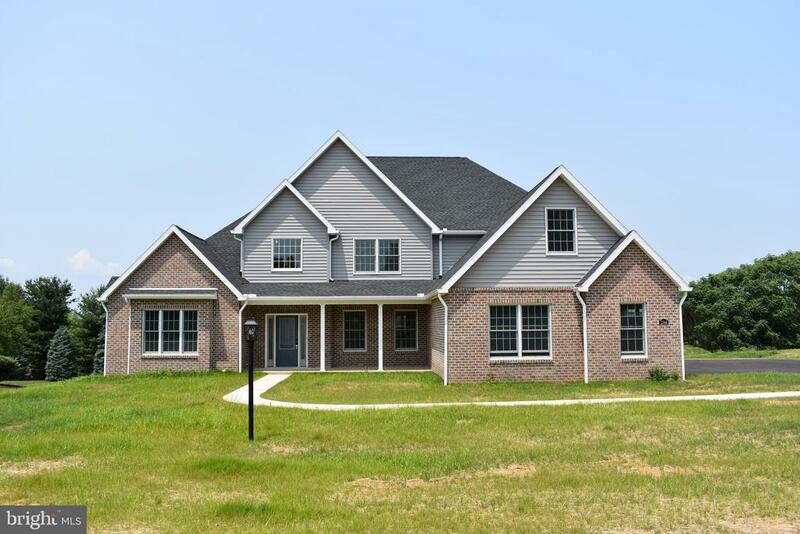 NEW CONSTRUCTION IN COUNTRY LANE!! Incredible 4 bedroom home offers 3, 726 sq. ft. of living area plus full walk-out basement that could be finished into a 2 bedroom living quarters. Spacious room sizes, main level master bedroom w/sitting area w/electric fireplace Totally upgraded master bath with soaking tub plus tile shower. Formal living room family room with gas fireplace just off the kitchen. The kitchen has granite counters, upgraded SS appliances, and breakfast room with breakfast bar. There are 3 additional bedrooms and 2 baths on the upper level PLUS a bonus room that could be finished. Oversized 3 car garage. All situated on a generous .79 acre lot with lovely views of the woods, valley and mountains. Directions: Rt. 30 East to right on Garman Drive to left on Hospitality Dr. to left on Hearthside Dr.